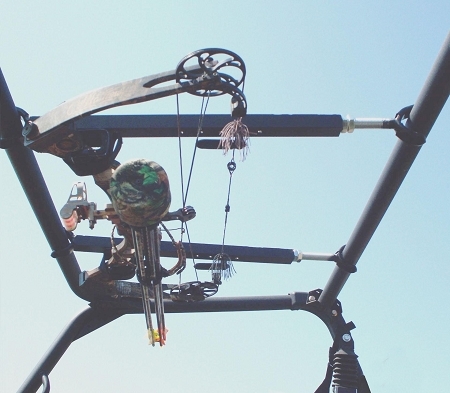 The QuickDraw Overhead Crossbow Rack is the perfect way to transport a bow on a utility vehicle. 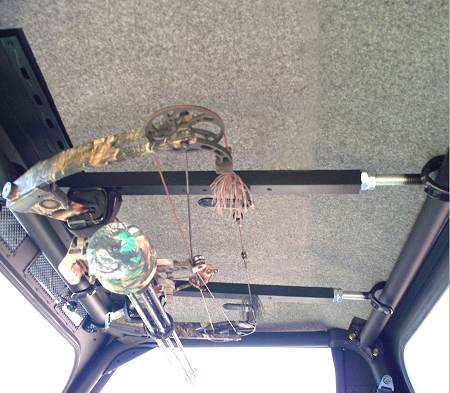 The Overhead Bow Rack holds your bow securely in the inside roof area of the UTV. It has two soft, cushioned cradles that prevent any disturbance to the bow’s settings. Also, for utility vehicles with covers on the top, the bow is totally protected from the elements.